Just about every gardener dreams of an easy to care for landscape with lots of flowers. Perhaps you too have the vision of wildflowers in bloom at the end of vistas and along walkways. But unlike natures' sowings you have to do the planting yourself. Fall is the time to establish wildflowers in the home landscape. Most need the cooler months to grow roots, shoots and produce their flowers by spring. Find a location with the proper light level. Most wildflowers prefer the full sun locations in a well-drained soil. Plantings can be established from seeds or transplants. 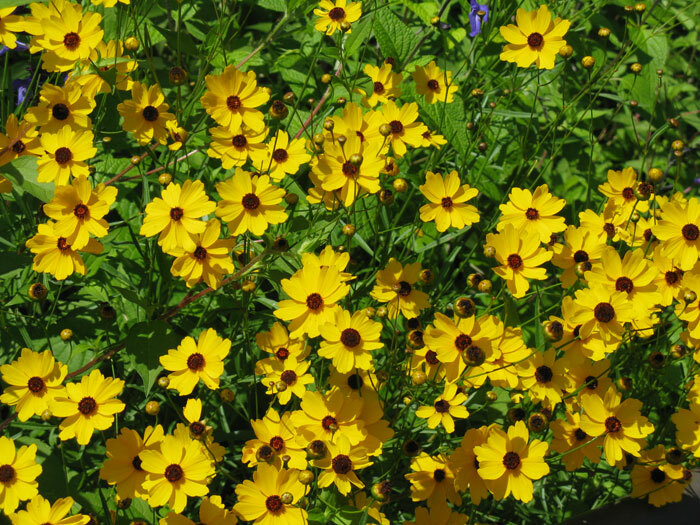 Some of Florida's favorite wildflowers include the black-eyed Susan, coreopsis, gaillardia, goldenrod, native salvia, phlox and shasta daisy. Follow these steps to a successful planting. Control weeds with a non-selective herbicide that allows replanting. Till the soil 4- to 6-inches deep; adding organic matter to sandy soils is optional with wildflowers. Sow seeds or add transplants to create the wildflower garden. Keep the soil moist to encourage seed germination and rooting of transplants. Gradually reduce waterings to when the surface soil dries to the touch. Feed lightly every other month with a general garden fertilizer. Hand pull, hoe out or spot kill weeds as needed. Allow wildflowers to fill the garden, flower and develop seed heads. Declining plant portions can be removed once the seeds have dropped to the soil. Many will sprout during the summer and fall months to continue the garden.